Sorry to disappoint all you hippies, but, and there is no scientific or methodical proof of this, the most popular herb is basil. I’m calling it. It’s a staple in Italian and Thai kitchens alike. There are plenty of varieties to keep your taste buds guessing, and it’s delicious. (Although, ironically enough, I used to not care for it. I have a new-found appreciation for the sweet, licorice-y herb. Possibly because of its use in this here pasta sauce). 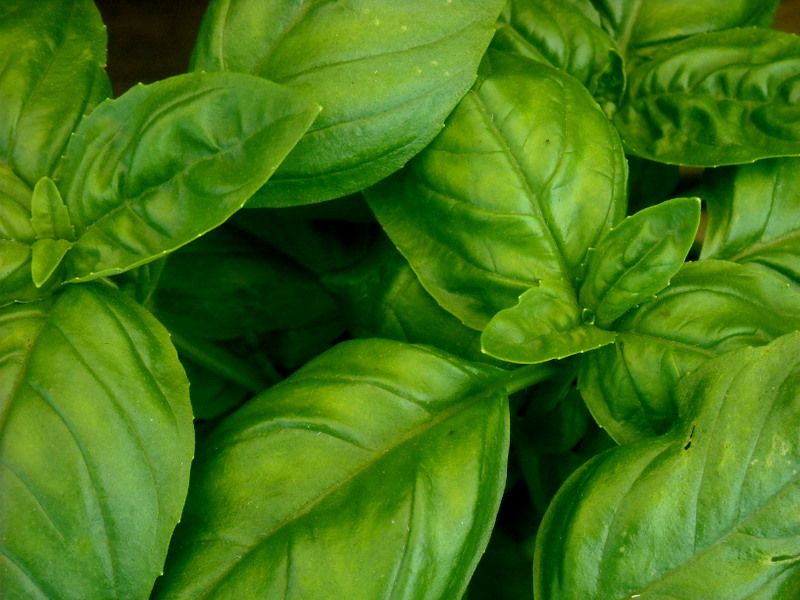 Because I know you’re all dying to know more about basil and what it tastes like (as if you don’t know!) and different ways to use it, click here for my latest story about it on Patch. Anyone else here a basil-lover? What’s your favorite kind?